No, it’s not technically in San Francisco—but trust us, it’s worth the ferry ride. (If you can’t be persuaded to make the trip, check out Sushi Ran’s newer, izakaya-style sister-spot, Nomica, in the Castro.) 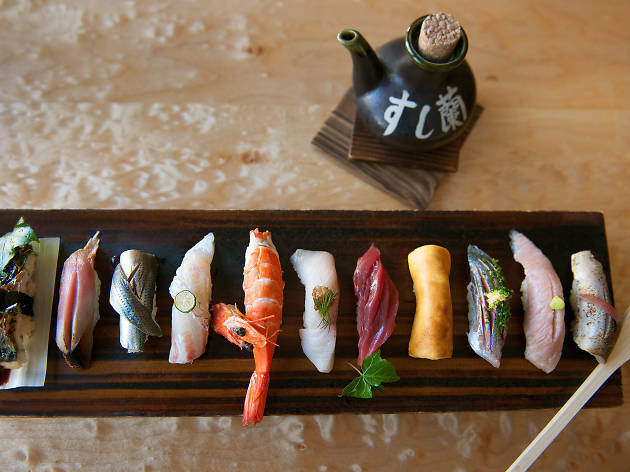 After opening his doors 30 years ago in Sausalito, owner Yoshi Tome is credited with spawning the current wave of upscale omakase restaurants. 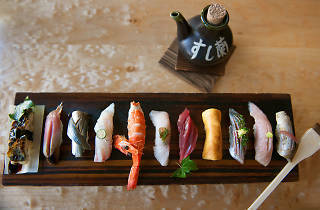 The spot is known for imaginative sushi, sourced both locally and from Tokyo. First-timers can’t go wrong with the moriawase ($26), which features six pieces of fish, including kindai-tenku bluefin tuna, yellowtail, New Zealand king salmon, steamed prawn, and two freshly-sourced choices from the chef. I've been going to Sushi Ran for years and the quality and service has only increased with every visit. Every bite of every dish takes me twice as long because I want it to last that much longer - Not to mention the time spent after each bite where i look at my wife and say "it's sooo good!" I LOVE Sushi ran. Most important, the fish is always fresh so I feel safe ordering anything off the menu. The cooked dishes are unique and I like that they make menu changes adding new dishes as well. I was not familiar with Sushi Ran when I first moved to Sausalito; I now know people come from all over the Bay Area to go there. The first time I ate there I was raving to everyone that I'd "found the BEST Japanese restaurant" and they were all like "well, duh!" Seems everyone knew but me! It's a popular local hangout for dinner, or just to meet up for a glass of wine and appetizer. I love the relaxed atmosphere and people are always so friendly. I usually end up chatting with all kinds of new people (locals and tourists) at the Sushi Bar. Sushi Ran is one of my favorite restaurants. A great place to celebrate a special occasion or just meet friends after work. The fish is always extremely fresh and unique - I almost always try something new every time I go. I also like that they pick sustainable seafood. Sake selection is great! Everything at Sushi Ran is phenomenal. So much attention to detail , and everything is done at the highest level, from the food, to service to decor. Have had a wonderful experience every time. Overpriced elitist crowd. Robata Grill Mill Vslley is great.